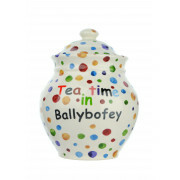 From Shannon Bridge Pottery comes this unique handmade and hand painted lidded storage jar. 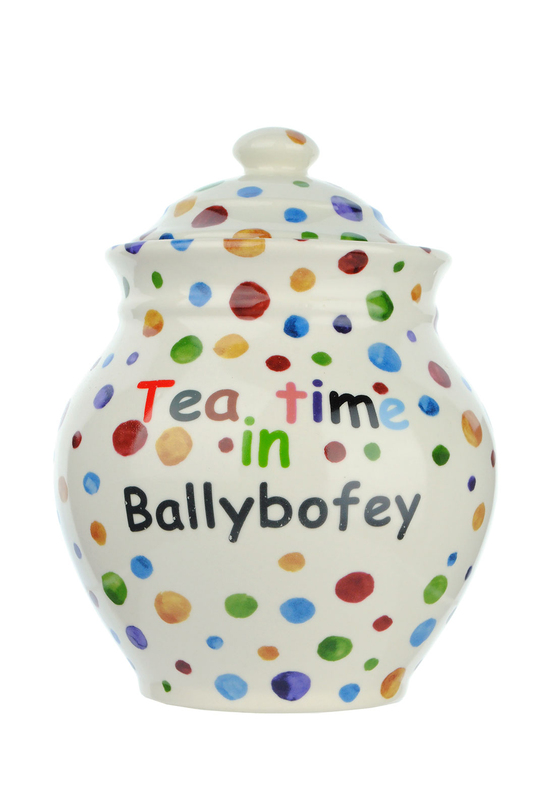 Invite your friends over for “Tea time in Ballybofey” and show off your fun tea ware. Ideal gift idea for a loved one from Ballybofey.